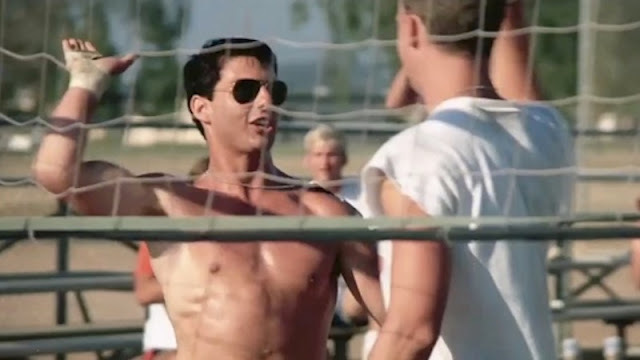 When something goes well it's nice to get all TopGun about it from time to time. But you can have too much of a good thing. Like saying sorry all the time, the more you repeat something the more it starts to lose meaning and resonance. The below is God's way of telling americans to calm down and stop seeking out some physical manifestation of their relentless need to affirm the fact they feel good. Notice that every single one of the below takes place in the States. Except for the aussie wicketkeeper which merits inclusion because it's incredible. Colin Jackson's aunt is blatantly american. One of the most beautiful things on God's earth.